At Cluff Carpet One Floor & Home in Waterford, CT we are dedicated to bringing you the best quality carpets available. Carpet is still a top choice among homeowners today because of the comfort it brings to their homes. We noticed many people still confuse rugs from carpets, what separates a rug from a carpet is that carpets are installed wall to wall and cover the entire floor of a room. There are several carpet characteristics that play a role such as the pile style, the carpet cushion, and the base material. Carpet features unmatched characteristics that no other flooring type can replicate. It is made to be soft and durable at the same time, and comes in stain resistant options that are built tough. Carpet is known to add warmth to your home, and is a comfortable surface to spend time on with your family and friends. If you have pets at home, there is no need to worry about damage with tough pet friendly carpets. What are the different carpet piles? Cut pile has fibers that are cut at the ends making the carpet denser. Loop pile is the opposite, where no fibers are left at the surface and are in a series of loops, giving the carpet an even look. Multi-level loop staggers the height of the loop fibers to create an uneven surface. Cut and loop piles also provide an uneven look but also give texture to the carpet and hide dirt. Carpet fibers can also be different. You can choose from nylon, polyester, or natural wool fibers depending on your home’s needs. As comfortable and appealing as carpet is, it is not well-suited for every space of your home. Practical places you can install carpet include bedrooms, living rooms, dens and home offices. There are also carpets that can be installed in finished basements. Places in your home carpet should never be installed in include kitchens, bathrooms, and laundry rooms. As we mentioned before, there are stain resistant carpets that are built to be tough and handle pet accidents. Today, most stain resistant carpets come with the resistance built into the fiber, so you never have to worry about it wearing off. There are also other options that you can apply to your carpet to make them resistant to staining, soiling, and wearing, just be sure to check with your manufacturer’s warranty. As a member of the Carpet One Floor & Home cooperative, we are able to compete with big box stores. We carry name brand carpets you love at exceptional values in addition to our exclusive brands which are backed by our award winning warranties. Our brands include Tigress®, Lees®, Innovia Extreme Clean™, and Resista®. To learn more about our carpets, contact Cluff Carpet One Floor & Home in Waterford, CT. If your current carpet is unable to stand up to a busy household, consider our top stain resistant carpets. Carpet is still one of the number one choices for in-home flooring. Let us give you a few reasons why you should choose carpet flooring. 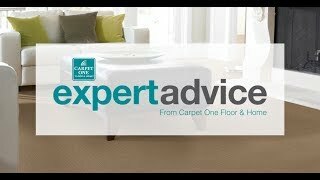 Let our experts help you learn about carpet installation. We'll install any carpet we sell.